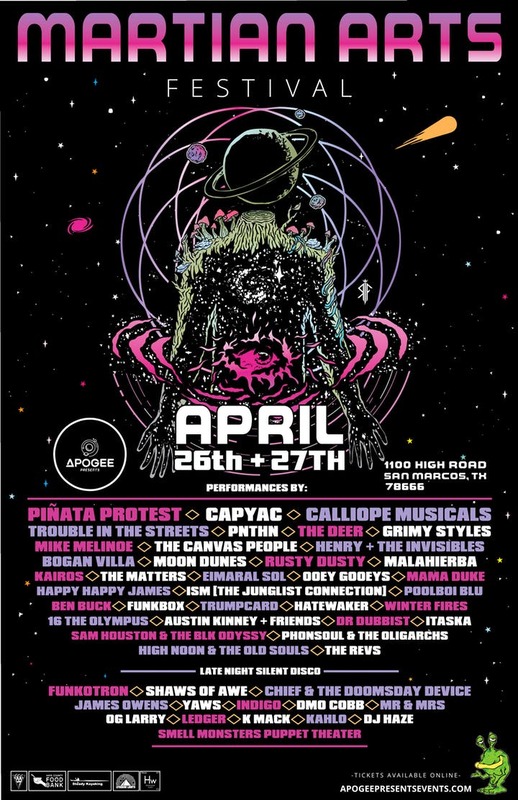 Apogee Presents is hosting their biggest event of the year: a two-day Camping, Music & Arts Festival in San Marcos, TX! Local Food Trucks and Vendors of all kinds will be in attendance, as well as a designated Art gallery featuring works from artists both local and international. Join us at High Rock Ranch for a mind-blowing weekend complete with Music, Arts, Cinema, Silent-Disco, and many many friends!